Don’t let your Valentine bounce away. 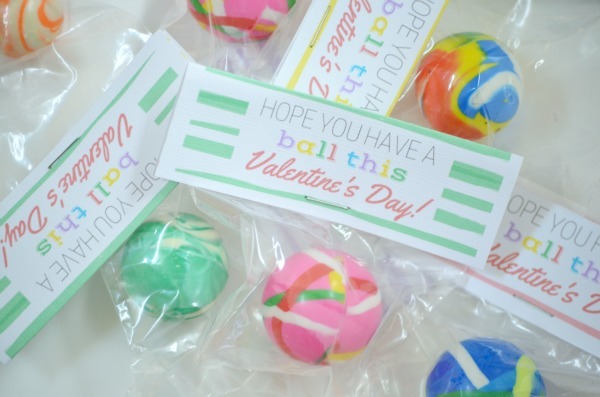 These fun bouncy ball Valentines are the last, for now, in my series of printable Valentines. 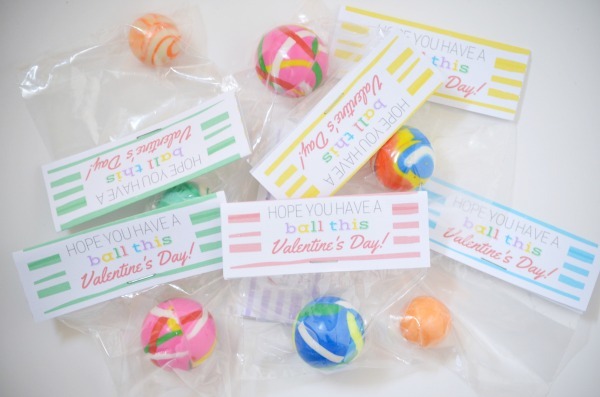 Be sure to check the end of this post for links to all the current FREE printable Valentines. 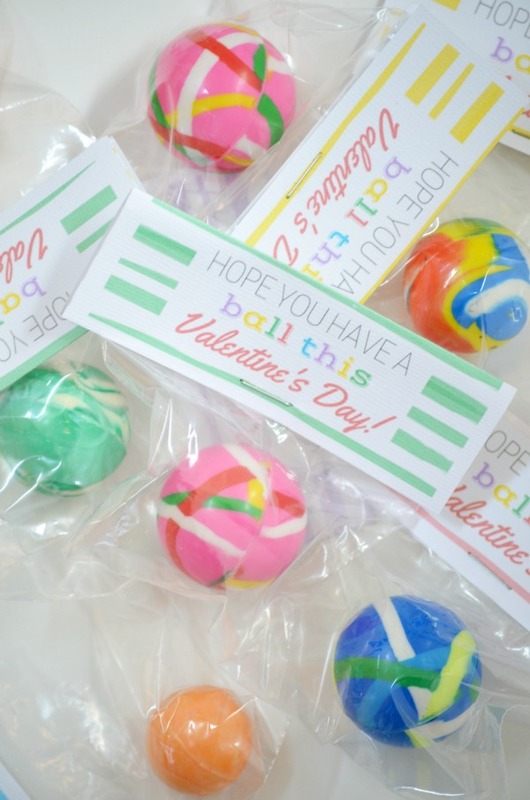 Use the printable as a bag topper. 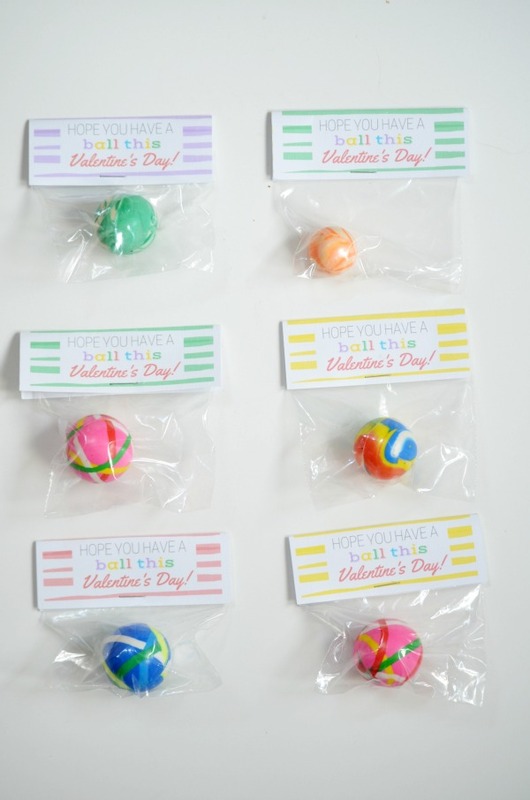 Place the bouncy balls in a clear plastic bag. I found mine in the candy making aisle at my local craft store. Fold the printable in half, then staple to secure. You could also easily swap out the bouncy balls for marbles or some other kind of ball. 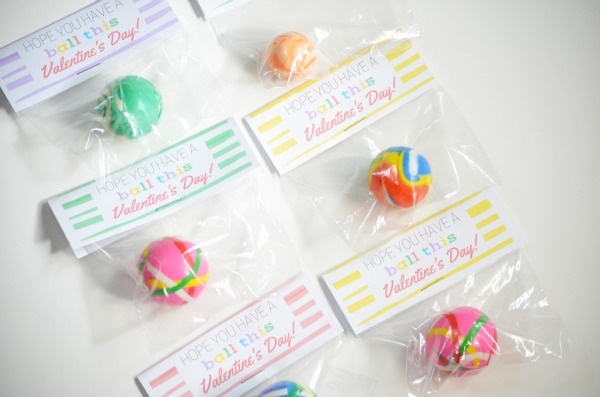 Bouncy balls are fairly easy to find at most retailers in the party supply aisle. I picked up a large bag at Target for just a few dollars. The great thing is bouncy balls are fairly inexpensive and kids of all ages love playing with them.